Did Michelle McNamara help crack the case? I’ve just finished the fascinating I’ll Be Gone in the Dark by Michelle McNamara. 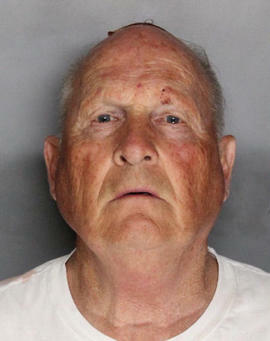 What an amazing coincidence that California police finally nabbed a suspect for the Golden State Killer crimes so soon after its publication. Finding the perpetrator is the subject of McNamara’s book. Or was it a coincidence? It looks as if McNamara’s investigation may have inspired the capture of suspect Joseph James DeAngelo. The cops somehow surreptitiously got his DNA from something he threw away and came up with a match. What is not clear at the moment is how they latched onto DeAngelo, a former cop. However, the book contains a couple of ideas about he could be caught one day. It has some geographic profiling of where his murders and rapes, carried out between 1976 and 1986, were committed. He was linked to 50 rapes, 12 murders and many burglaries. The purpose of this kind of profiling is to indicate where a predator may live or work. The geo-research by a detective McNamara was talking to and by Kim Rossmo, the leading geographic profiler (whom I interviewed for The Hunt for the 60s’ Ripper), both pinpoint the area around Citrus Heights. This is precisely where DeAngelo lived and was arrested last week. The use of ancestral DNA to unmask the serial killer was another feature of McNamara’s theories for trapping the GSK. McNamara died in 2016 before finishing the book. However, her researcher, Paul Haynes, and journalist Billy Jensen pieced her notes together to finish it. They write toward the end, ‘The idea that the answer to this mystery is probably hiding in the [public genealogy] databases of 23andMe and Ancestry.com kept Michelle up at night. So, it looks as though the book may have made detectives look closely at the Citrus Heights area and they somehow came across DeAngelo. They had the killer’s DNA from his past crimes. It seems they then follow McNamara’s ancestral DNA trail. Here’s how the New York Times covered this aspect of the case. Others had had similar ideas about using DNA records on commercial databases, but it seems this book could have given the authorities a bit of a prod. If so, it’s a shame the author never got to see her work bear fruit so spectacularly. Such a success would make I’ll Be Gone in the Dark a landmark true-crime book. DeAngelo has been charged with 13 murders. This entry was posted in Serial killer, True crime books by admin. Bookmark the permalink.